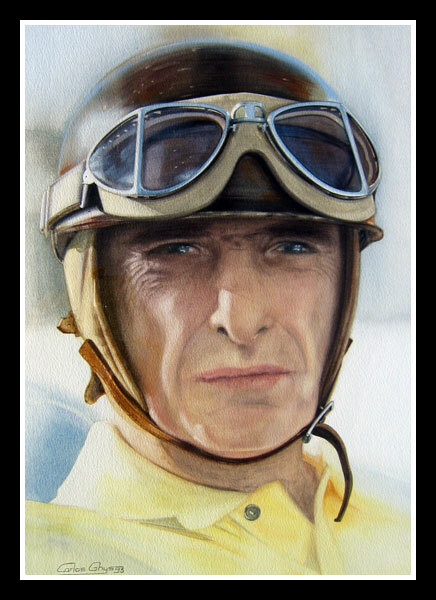 Juan Manuel Fangio was born on 24 June 1911 in Balcarce, Argentina. The son of an Italian immigrant stonemason, Fangio's character was shaped be honest hard work and loyal friendships. His first race was at Benito Juarez, when he raced under the assumed name of Rivadivia in an effort to avoid his father discovering his racing. When he was eventually found out, his father told him off for letting him find from someone else. During the 1940's he became Argentinean champion twice, an when in 1950, the FIA instigated the first world championship, Fangio drove for Alfa Romeo, A year later he won his first world championship before signing for Maserati in 1952. He was runner-up in the championship in 1953, and after only two races of the next season, he changed to Mercedes Benz and proceeded to dominate the championship with six victories. 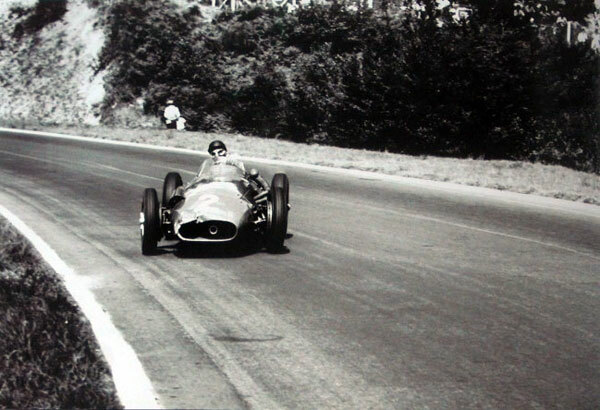 He won the title again in 1955, and the following years he moved to Ferrari. Although triumphant for a third consecutive season, he was generally unhappy and returned to Maserati to gain a fourth title. His greatest victory came in the German Grand Prix. After a long pit stop, and with just ten laps to go, he was trailing the Ferraris of Mike Hawthorn and Peter Collins by 48 seconds. Breaking the lap record 9 times, he past Collins on the penultimate lap and than overtook Hawthorn. The two of them battled in out to the line, where Fangio eventually won by 3.6 seconds, claiming his fifth title. It was later found that he had driven the final part of the race with a broken seat, holding himself in the cockpit with just his knees. Later he said, "I believe I was inspired that day. I never drove quite like that before, and I never drove quite like that again." Fangio retired in 1958 and became President of the Mercedes-Benz subsidiary in Buenos Aires. On July 17 1995, aged 84, Fangio died of pneumonia after being dependent upon dialysis for several years because of kidney failure.